Guard Booths Direct manufactures economically priced guard booths to house security personnel and their equipment. These quality booths can also be used for other applications including control booths, parking attendant shelters, valet kiosks and more. This website is designed to provide you a seamless shopping experience. Simply select the model that is right for you. Purchase with a credit card or Pay Pal and then wait for delivery of your new guard booth in a week or less. Your booth arrives fully assembled and ready for use. Simply off-load from the back of our delivery truck, anchor onto your existing concrete pad, make your electrical connection, and you are ready to go. 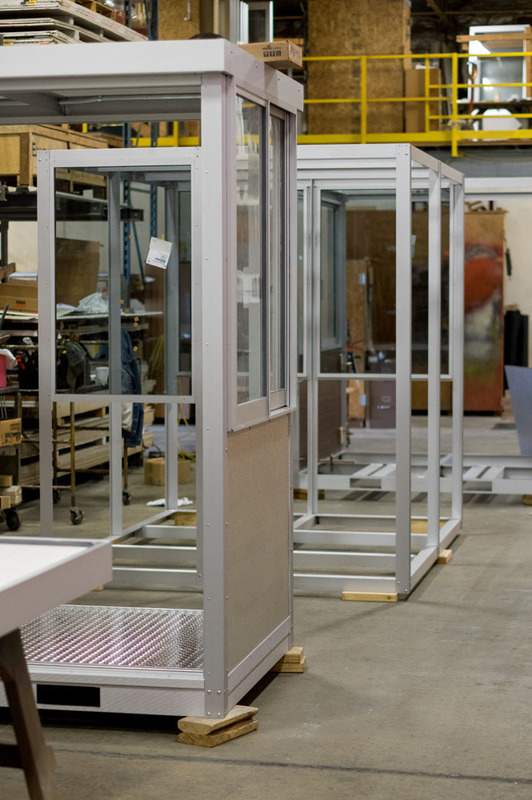 GBD guard booths during the initial phase of the assembly process. Our experienced production team maintains an inventory of all models to facilitate immediate processing and shipping of your guard booth. 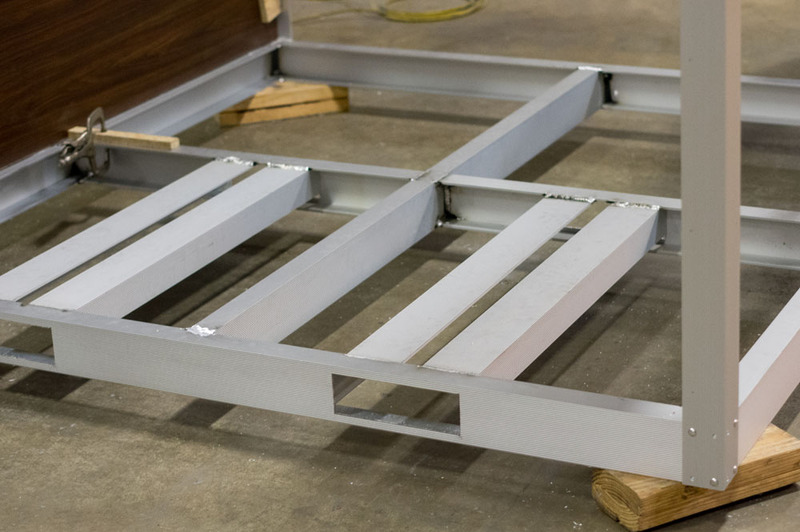 Base frames are made of maintenance-free anodized aluminum to resist corrosion with welded joints to create a solid foundation for anchoring your booth. Forklift pockets are included as a standard to allow easy access by a forklift for offloading. 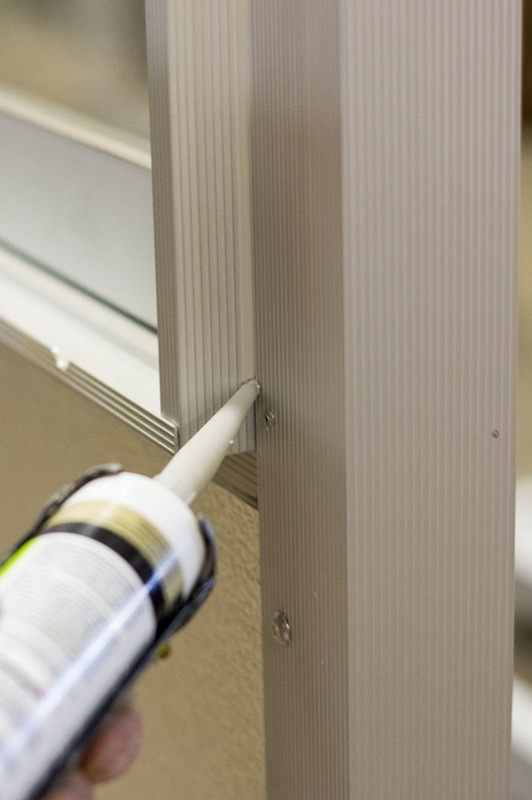 Caulking all exterior joints restricts moisture penetration to improve the longevity of your booth while protecting the guard and the security equipment inside. 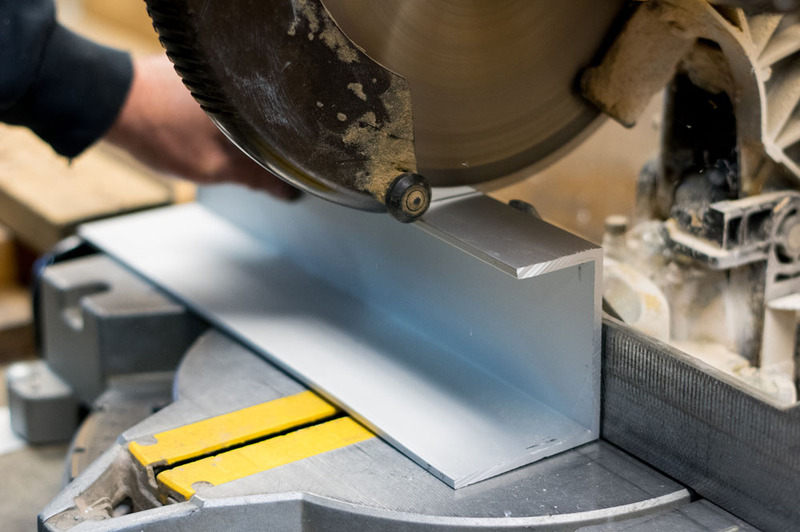 All components are fabricated at our factory to ensure the best fit and finish for your booth. 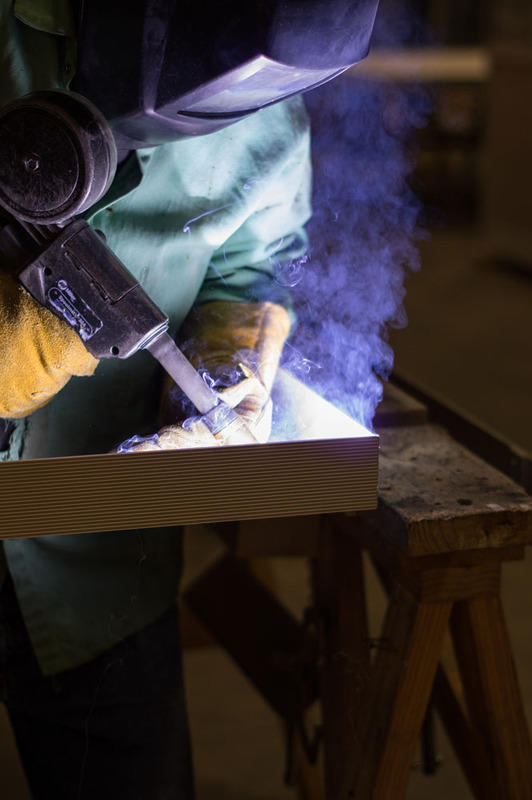 Our assembly process is designed to ensure you receive a quality booth in the shortest period of time. All upright framing components are assembled using mechanical fasteners. Using this method of construction enables you to replace wall panels and structural members should damage occur. 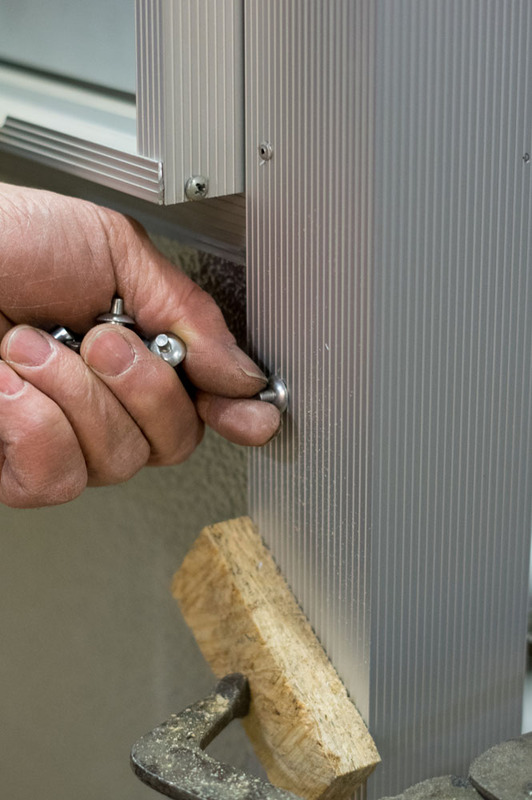 Time-tested construction techniques are used to create a quality guard booth that will provide years of trouble-free service.